Soprano Laurinda Nikkel, hailed by Opera News for her “consummate singing and acting technique”, has excelled in a wide range of operatic roles with leading companies throughout the U.S. and holds the distinction of having sung professionally in every state of the Union with the exception of Alaska. In 2006-07 Ms. Nikkel’s season included the role of Micaela in East Texas Symphony’s Carmen and her debut in the role of Despina Cosi fan tutte with the Rising Star Summer Festival in Cincinnati Ohio. For the past several seasons she has maintained a busy teaching and performing schedule concertizing throughout Southern California and giving critically acclaimed performances of operatic roles. Ms. Nikkel’s credits include Micaela in Carmen, Musetta in La Boheme, Yum-Yum in The Mikado, Mimi in La boheme Norina in Don Pasquale Marguerite in Faust and many more. Her orchestral performances include Messiah, the Brahms Requiem, the Mozart Requiem, Mendelssohn’s Elijah, and Handel’s Laudate Pueri Dominum. Ms. Nikkel is a former participant in San Francisco’s prestigious Adler Fellowship and Merola Opera program, the Cincinnati Opera’s Young Artist Program and is a past winner of the District and Regional Metropolitan Opera Auditions. Other awards include both the Richard Gold Career Grant and the Leonardo da Vinci Award Grant from the San Francisco Opera, the Norman Treigle Scholarship from the New York City Opera, The Shoshana Foundation Award, and the Schubert Foundation Award for Excellence in Art Song. 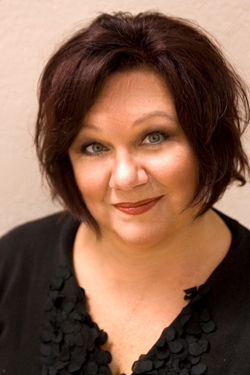 In 2005 Ms. Nikkel was appointed Coordinator of the Voice Department at San Diego State University where she oversees vocal programs in both the School of Music and Dance and the prestigious MFA program in the SDSU School of Theatre, Television and Film. Her students have been award winners in the Metropolitan Opera Auditions, The National Association of Teachers of Singing Young Artist Competition, The Virginia Hawk Young Artist Competition and the Carlsbad to Karlove Vary Vocal Competition. Ms Nikkel is a recognized Masterclass technician in both classical and musical theater techniques and has performed art song recitals throughout the United States and Canada. She is Vice President of the San Diego Chapter of the National Association of Teachers of Singing (NATS) and past Chair of the NATS Young Artist Competition.